The account of a girl building herself in spite of the shackles of dogma and abuse. 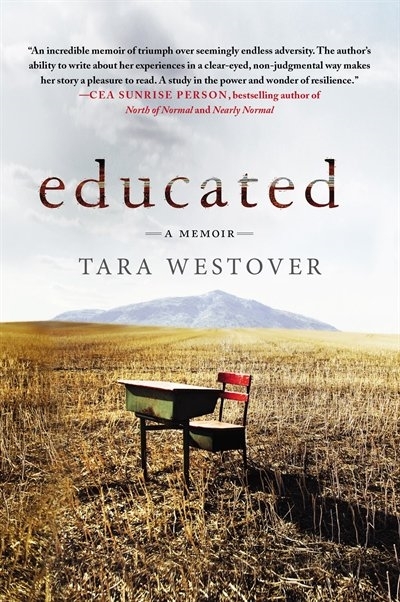 Raised in a doomsday Mormonist household, in the plains of Idaho and its mountains, Tara paints a painful picture of education. These are haunting images of a girl confronting the sins of a tyrannical, fundamentalist Father, and delusional, pithless Mother. From these memoirs, it seems true that the act of learning – accruing knowledge – can be a form of escapism. But self-education – using knowledge to construct oneself – can be a means of escape: from real tyranny in our family and in ourselves. Westover’s story is inspiring because it tells of the power to confront uncertainty and emancipate oneself from those that claim certainty, especially when it is our loved ones. As she puts it, her life was being “narrated for me by others”.